Whether you’re looking to stay on the Rumson roads or venture off of them, the new Land Rover Discovery Sport is the model for you. With exceptional traction control to handle whatever lies ahead and various engine options, the new Discovery Sport is set to perform, and various feature upgrades will keep you and your passengers comfortable and connected. 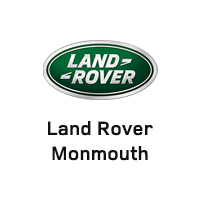 Get in touch with Land Rover Monmouth to learn more and find out how you can outfit your new Discovery Sport! You can continue to learn about the Discovery Sport with us by comparing it to the Range Rover Sport.